Interestingly, though, the songbirds’ owners are Singaporeans from all races and creeds. The field is alive with the sound of music. 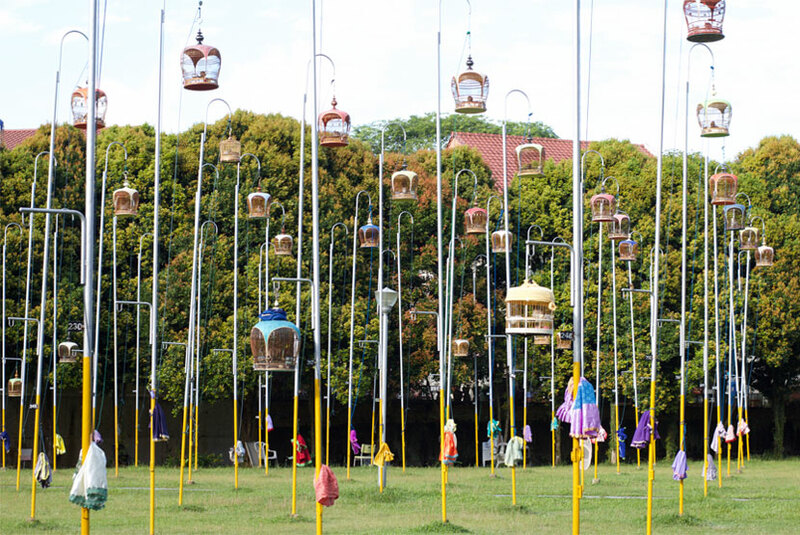 Every morning, dozens of pet birds break into songs of joy as their proud owners gingerly hang their cages up on the tall steel poles, erected on an open field between Ang Mo Kio Town Garden West and Ang Mo Kio Avenue 5 (near Block 159). To some, the chirps are simply a cacophony of deafening noise. But to the predominantly male hobbyists of the Kebun Baru Birdsinging Club, that’s a symphony of nature’s finest melodies. 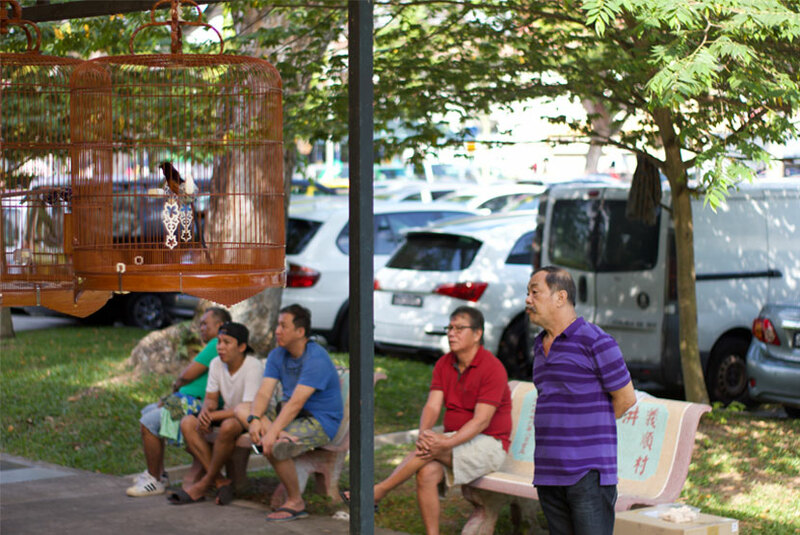 “When one bird sings, it will encourage the other birds to sing,” Mr Robin Chua, 73, told The UrbanWire as the songbirds fought zealously to be the showstopper. Mr Chua is the media coordinator of the Kebun Baru Birdsinging Club. Members of his club gather at this open field ritualistically to “train” their birds together. 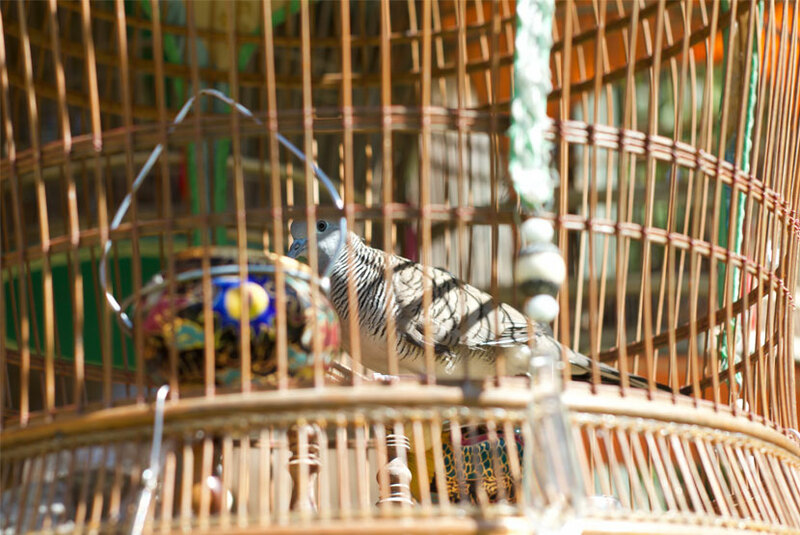 Rearing songbirds and showing them off is a centuries-old Chinese pastime. It was once regarded a virtuous hobby – one that would keep men from their vices. The hobby took root in Singapore when early Chinese immigrants settled here. 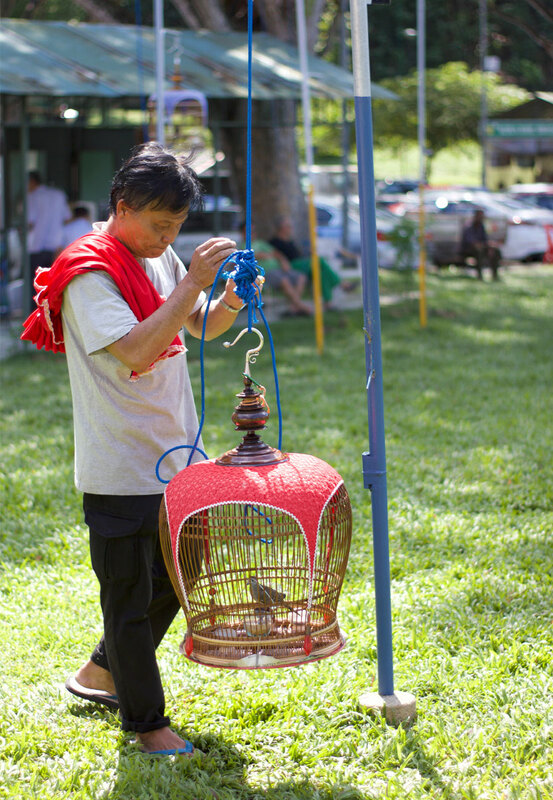 Besides the open field in Ang Mo Kio – said to be the country’s largest songbird display arena, there’re also a good number of smaller bird singing corners across the city-state. Interestingly, what started as a predominantly “Chinese uncles’ pastime” has built a multiracial following in Singapore. Mr Kula Mohd, 63, is one of the non-Chinese regulars in the club. He said he’s been “playing with cheap birds (for) more than 30 years”. Another regular is Mr Tan, 48, who often shows up at the club to “drink coffee and catch up” with his friends of different ethnicities. Mr Chua said the club has become somewhat of a tourist hotspot in recent years thanks to coverage by news outlets such as The Guardian and the BBC. He added that the bustling field in Ang Mo Kio never fails to wow Western tourists. Mr Ang, 52, is a bird hobbyist of over 30 years. He now owns 5 Zebra Doves, one of the most popular breeds for singing contests. Zebra Doves can be identified by the black-and-white stripes on their necks. He explained that lower pitched doves are in the A category, middle pitched doves are in the B category, while C category doves coo on the highest pitch. 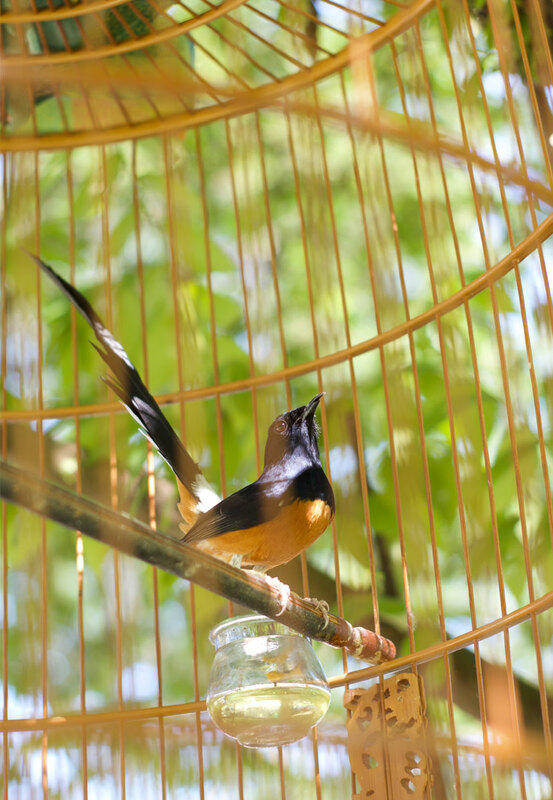 “If you play with this kind of birds, there’re a lot of challenges in understanding their singing methods,” said Mr Ang. 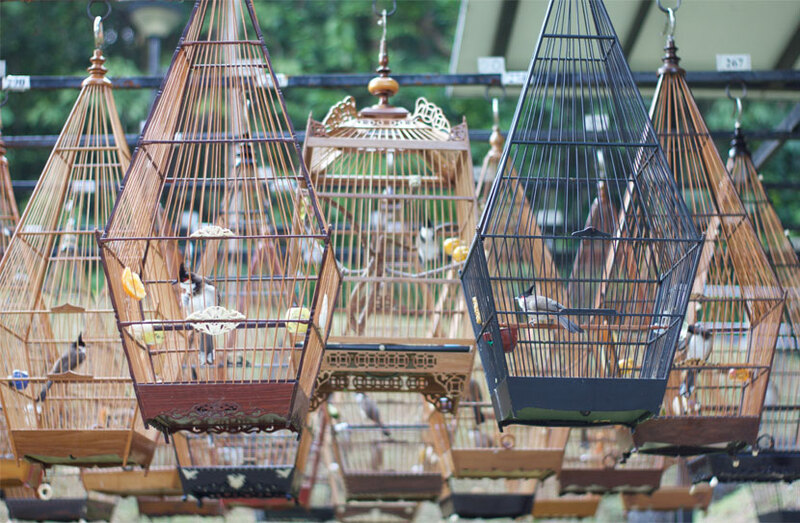 Mr Wong Yew Siong, 51, owns 10 different breeds of songbirds. While he enjoys pitting his birds against others in “friendlies”, what he appreciates most is simply the beauty of the melodious chirps.